True North Commercial Real Estate Investment Trust (TNT-UN-T) continues to grow its Canadian portfolio with the acquisitions of office buildings in Richmond Hill, Ont., and Calgary. The Calgary acquisition, announced late Thursday, is a 148,000-square-foot building at 1020 68th Ave. Northeast in the Deerfoot North Business Centre. 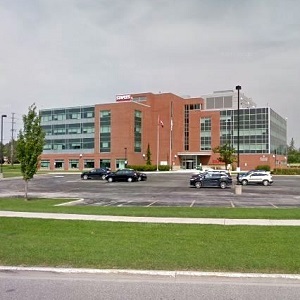 The 122,000-square-foot Richmond Hill property, at 6 Staples Ave., is the Canadian head office for Staples Business Depot. True North says the Richmond Hill purchase price is approximately $33 million. It is funding the purchase through both proceeds from the REIT’s July 2018 public unit offering and a $21.5-million first mortgage at 3.95 per cent interest for a 10-year term. The acquisition is expected to close on Sept. 7. The building is a five-storey, class-A office with 516 parking stalls. Situated on 10.33 acres, the property is in a prominent position at the corner of Staples Avenue and Leslie Street, with easy access to 400-series highways. It’s also fully serviced by transit systems including York Regional Transit, Viva and the Richmond Hill GO Train Station. With a remaining lease term of 15 years, the building is fully occupied by Staples. The Deerfoot North Business Park building is being purchased for $26,75 million, paid through cash and a $17.2-million first mortgage. Located on an 11.06-acre site, the suburban property also includes 531 parking stalls. It is fully leased to a single tenant, General Dynamics, with a remaining term of 5.5 years. The business park is in close proximity to downtown Calgary, as well as the city’s international airport. The sale is expected to close on Sept. 14. The REIT still has agreements in place to purchase three other properties, totalling 100,000 square feet in Victoria and Ottawa (two properties). True North is continuing its due diligence on these properties. These potential acquisitions were announced in July. Earlier this year, True North also purchased 5775 Yonge St., an award-winning, 274,000-square-foot, class-A office property in Toronto. The 18-storey structure was purchased for $85 million. That announcement came on the heels of an earlier public offering, which raised $40 million in capital. It closed on March 1. True North is a Toronto-based, unincorporated, open-ended real estate investment trust established. True North owns and operates a portfolio of 42 commercial properties consisting of approximately 3.37 million square feet in urban and select strategic secondary markets across Canada.